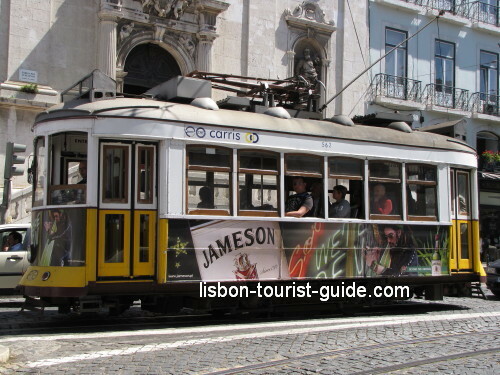 In this page I present you the Lisbon Travel Dictionary. Maybe you're thinking: "What is it?" Well, the Lisbon Travel Dictionary is a compilation of words and expressions that may be useful to you when you come to Lisbon. Of course, you can use them all over Portugal. Their not exclusively ours (Lisbon people, I mean ). What's your name? - Como se chama? Learn more food related words in the Lisbon Food Dictionary. Where is (a fixed thing) - Onde fica? Where is (a person or a moveable thing) - Onde está? This is the Lisbon Travel Dictionary. I hope you find it useful. But if you didn't find what you were looking for, you can try to search it. 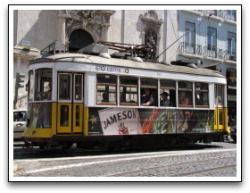 Or if you would like to add a word or expression to the Lisbon Travel Dictionary, please send it to me. I'd be glad to complement the Lisbon Travel Dictionary with your suggestions.